8 Amazing Watercress Benefits for Your Health! Watercress is a leafy green vegetable from the cruciferous family, which also claims kale, broccoli, arugula, and Brussels sprouts as members. Now considered a superfood, watercress benefits appear to be far-reaching as this leafy green moves itself to center stage (1). But watercress’s benefits are nothing new. For decades, it only made appearances as a plate garnish, but it used to be a staple in the diet of Roman soldiers.But watercress is no longer ornamental, largely because of its off-the-charts ANDI score. It’s a measurement of the nutrient density of food. Short for Aggregate Nutrient Density Index, the ANDI score rates food based on the number of minerals, vitamins, and phytonutrients in relation to total calories. Watercress has the highest score among all foods along with kale at 1,000; it offers the highest amount of nutrients for the lowest number of calories. For comparison, spinach is 739, broccoli rabe (rapini) is 715, and Brussels sprouts is 672. Watercress nutrition is top-choice, and that’s highlighted by its health benefits. 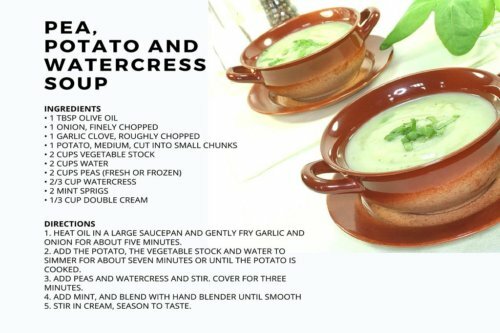 There are watercress benefits for skin, hair, lungs, and even for fighting cancer, and there are a number of watercress recipes that can be used to create soups and salads. There are also watercress juice benefits. Its versatility makes it easy to include in any diet. It also has very high amounts of important antioxidant phytonutrients such as beta-carotene, lutein, and zeaxanthin (2), which are great for eye health. No recommended daily intake has been established for these yet. Watercress also has a high number or nitrates, which can help relax blood vessels and increase blood oxygen, lowering the risk of high blood pressure. The phytochemicals present in watercress may help protect you from cancer by maintaining the integrity of your cells and preventing harmful genetic mutations. Watercress is also high in a specific nutrient called nasturiin, which is a precursor to a compound that works to inhibit liver enzymes that activate carcinogens, thus leading to cancerous DNA mutations. This means it has the ability to nip cancer cells in the bud in the earliest stages of development. In addition to these cancer-fighting qualities, watercress also has anti-inflammatory capabilities, which is an extremely important component to minimizing cancer risk. A compound specific to cruciferous vegetables, 3,3’-diindolylmethane (DIM), may offer protective effects against cancer, as well as protect healthy tissue during cancer treatment. Animal studies have shown that DIM injections can protect against the harmful effects of radiation treatment. Another one of watercress’s benefits for cancer may be its sulforaphane content. Eating a large amount of cruciferous vegetables is associated with lower rates of colon and lung cancer, which is widely believed to be a result of sulforaphane. Sulforaphane’s effects are currently being studies on a number of different forms of cancer. Watercress can also help remove toxins and mucus from your lungs. 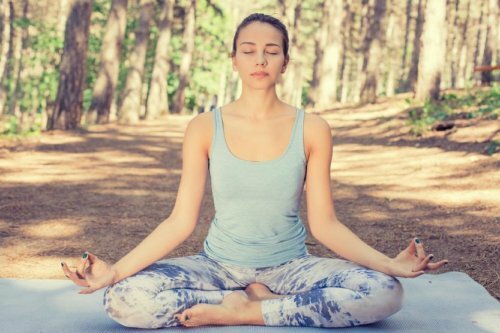 This can help people who are experiencing a cold or who have allergies, or just want to feel a little better about each breath they take. The benefits to your lungs may be further enhanced by watercress soup and tea, because the added heat also helps break up phlegm. Watercress benefits for skin work in a number of ways. 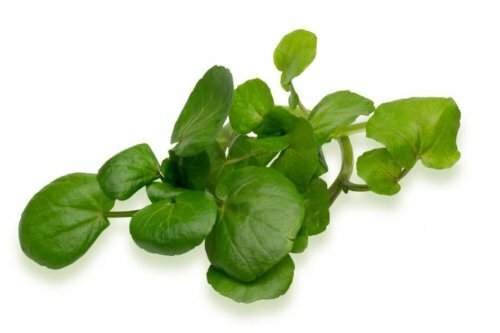 Conditions such as dryness, acne, and eczema can be a result of inflammation or infection, and watercress offers value by acting as a natural anti-inflammatory. But it also has a number of nutrients that help keep skin looking young, fresh, and strong. Vitamins A, C, E, and K all have positive effects on your skin cells in terms of protecting them from toxins and damage, while encouraging growth and regeneration. The fact that watercress also provides a sufficient amount of water means it can help keep your skin hydrated while aiding in the delivery of nutrients to the area. You can take advantage of watercress’s skin benefits by eating it, drinking it, or applying it as a topical rub to areas affected by acne, sunburn, or eczema. Many of the vitamins highlighted in your favorite shampoos are a natural part of watercress’s genetic code, so therefore it can offer benefits for your hair. Vitamin E helps with hair growth by increasing oxygen and circulation to the scalp to make sure cells stay healthy. Vitamins C, K, and A are also good for promoting a healthy scalp and can lead to hair growth and healthy hair. The presence of sulfur and zinc in watercress may also be beneficial. Watercress can benefit your hair when it’s eaten or lightly worked in. 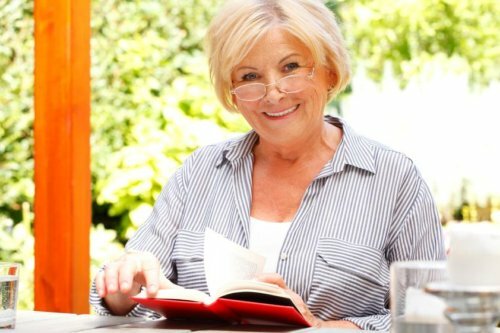 Vitamins A and E are very important for vision maintenance, and so are the phytonutrients beta-carotene, lutein, and zeaxanthin. In fact, these phytonutrients are thought to play a key role in protecting your eyes from the effects of age-related macular degeneration and cataracts. Because of these properties, watercress may help prevent blindness and maintain vision in aging populations. Watercress can promote healthy blood pressure because it is rich in calcium, magnesium, and potassium. The mineral elements are known to lower blood pressure by both dilating blood vessels and drawing excess sodium from the body. Watercress is also a good source of dietary nitrates, which studies indicate have a number of vascular effects, including lowering blood pressure, inhibiting platelet aggregation (blood clotting), and preserving or improving endothelial function. Vitamin K is associated with bone health, and a low intake of this nutrient increases the risk of fractures. Watercress is a good source of vitamin K, which helps increase calcium absorption, decrease the levels of calcium excreted in urine, and plays many other roles in the development of healthy strong bones. Just one cup of watercress per day supplies a day’s worth of vitamin K. Healthy and strong bones can prevent or delay the onset of conditions like osteoporosis and osteopenia. 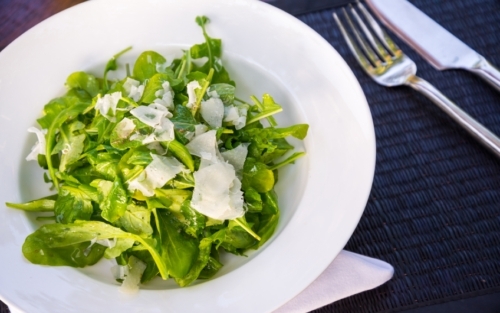 Watercress may help manage diabetes because it is a good source of alpha-lipoic acid. This antioxidant has been shown to help reduce blood glucose levels and increase insulin sensitivity. It should be noted that the benefits mentioned have not been found from watercress consumption, but rather through supplemental alpha-lipoic acid use. Eating green vegetables, however, is recommended for diabetics. Preparing watercress for a number of uses is very easy, and it can be used in virtually every way you’d use any other leafy green. Watercress soup and watercress salad are two of the most common ways to eat it, but it could be used to replace lettuce in a sandwich, hamburger, or stir-fry. Watercress can be steamed, cooked, or juiced. The process of preparing and cleaning it is the same as for spinach: all you’ve got to do is pull the leaves from the stems, rinse them in cold water, and dry them in a salad spinner or with a paper towel. Use them immediately, or put them in an airtight container in the fridge; they will keep for up to four days. Watercress juice benefits are best attained when added to smoothies or other juices. On its own, watercress juice is rather bitter and strong, and therefore may be unappealing. But when it’s added to a carrot or spinach smoothie, the flavor will be far less noticeable. You also don’t need very much watercress juice to take advantage of its benefits; about two ounces is all you need of this potent stuff. And if you don’t want to add it to a smoothie, some lemon juice can help tame the bitterness. 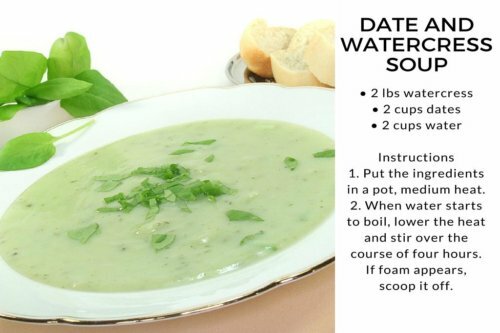 Watercress soup can help loosen phlegm in your lungs so you can breathe a bit easier, and may be especially helpful when suffering from a cold, bronchitis or another upper respiratory illness. Here are two recipes you can try. If you’re looking to fix a current health problem or prevent one, or even if you’re just looking for something fresh and new to add to your diet, watercress is definitely worth some consideration (3). It packs one of the most nutritious punches in the world and watercress benefits can help with a number of health conditions. There aren’t many known watercress health risks or side effects; however, if you suddenly introduce a high number of vitamin K-rich foods into your diet at once, it could impact the safety of certain medications. If you’re taking blood thinners, therefore, it would be wise to let your doctor know just how much more vitamin K you’re consuming so your warfarin dosage can be adjusted. There’s a good chance that no alterations will be needed, but it’s important to check in just to be safe. Generally speaking, eating more green vegetables is very healthy and extremely low risk. Eating nutrient-dense green vegetables contributes in a number of ways to overall health. Diets high in leafy greens, cruciferous greens, and other vegetables is associated with lower rates of cancer, heart disease, and diabetes. Many of the watercress health benefits we discussed are supported by research. So, use watercress as another option to turn to when you’re looking to add some more green to your plate. “Cabbage compound may ‘protect against radiation’” NHS, October 16, 2013; https://www.nhs.uk/news/food-and-diet/cabbage-compound-may-protect-against-radiation/, last accessed August 28, 2018. Lidder, S. and Webb, A., “Vascular effects of dietary nitrate (as found in green leafy vegetables and beetroot) via the nitrate-nitrite-nitric oxide pathway,” British Journal of Clinical Pharmacology, March 2013; 75(3):677-96; https://www.ncbi.nlm.nih.gov/pubmed/22882425, last accessed August 28, 2018. Hadjzadeh M., et al., “Effects of Hydroalcoholic Extract of Watercress (Nasturtium Officinale) Leaves on Serum Glucose and Lipid Levels in Diabetic Rats,” Indian Journal of Physiology and Pharmacology, April-June 2015; 59(2):223-30; https://www.ncbi.nlm.nih.gov/pubmed/26685512, last accessed August 28, 2018. “Aggregate Nutrient Density Index ANDI Score,” Nutrient Rich; https://nutrientrich.com/1/aggregate-nutrient-density-index-andi-score.html, last accessed August 28, 2018.